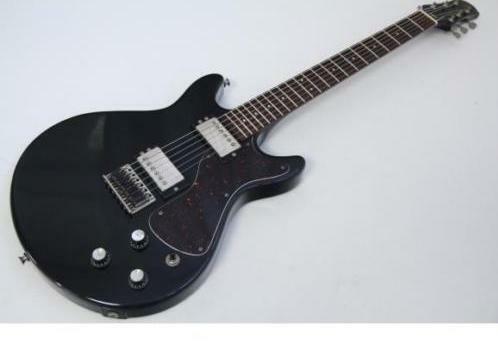 This is the most basic model retailing at 50,000 Yen when launched. 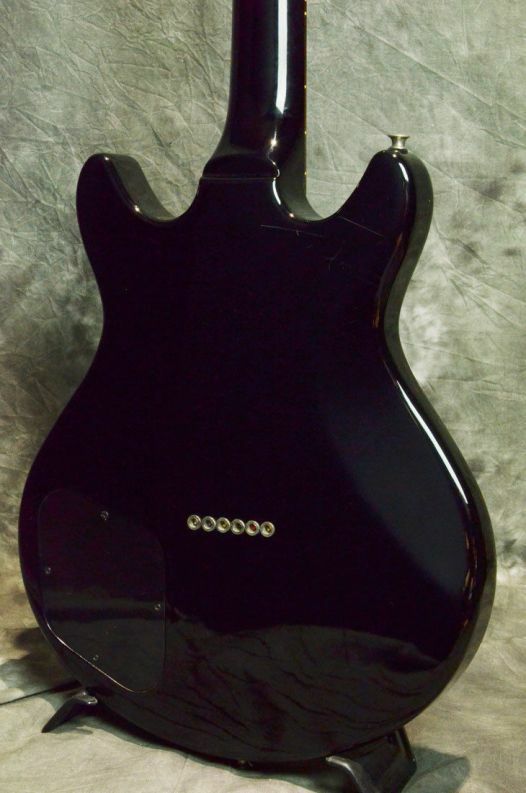 Pickguard Tortoiseshell on the black, black on the white. 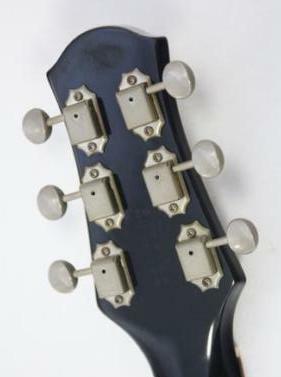 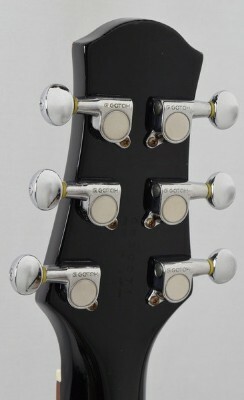 *The only one I have seen had Gotoh tuners (see picture below) and whilst they don't look like replacements I can't be sure. 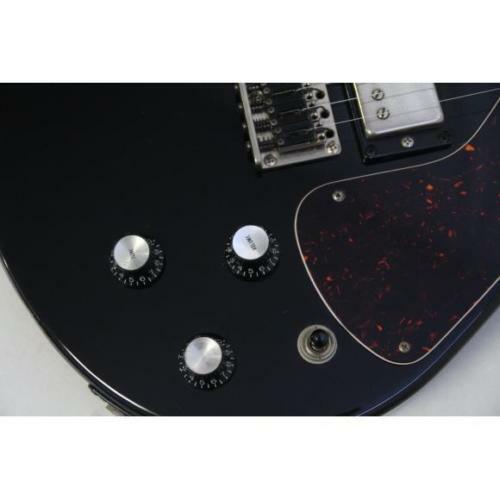 Pickguard Tortoiseshell on the black, black on the Cherry and blonde. 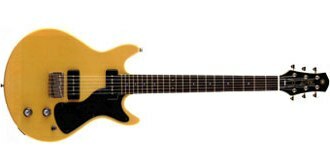 * Google translation of the archives calls this colour Lime de Mahogany looks blonde to me. 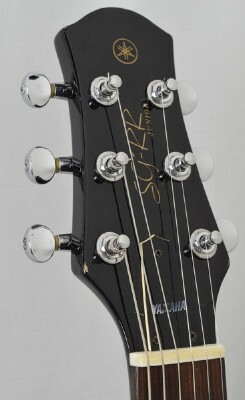 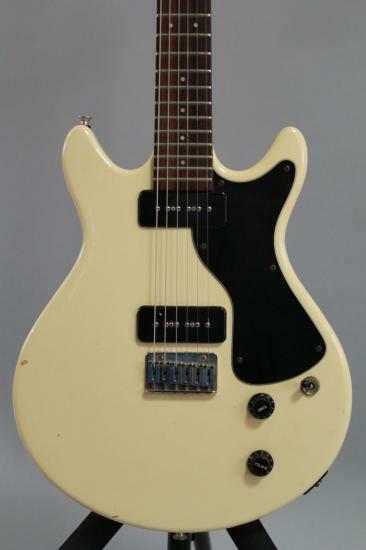 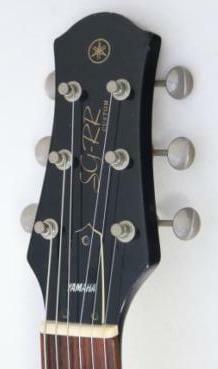 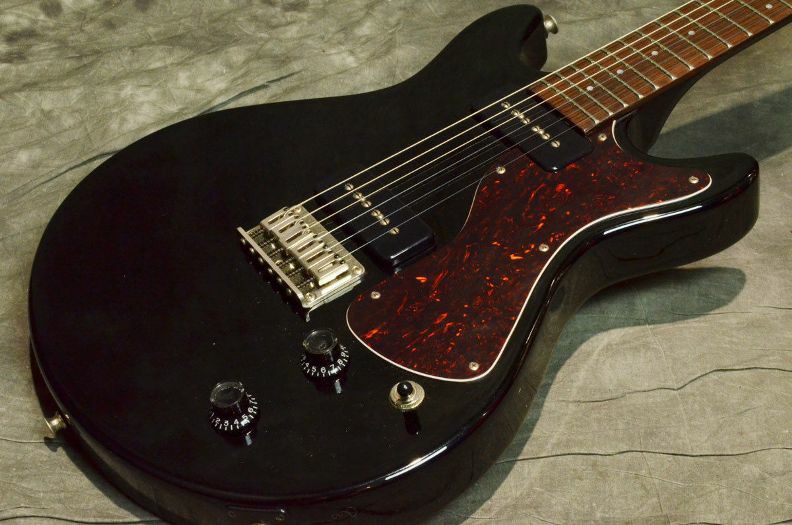 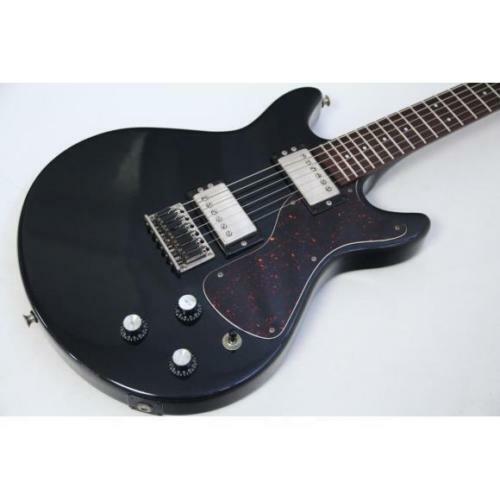 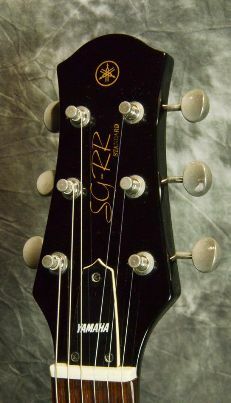 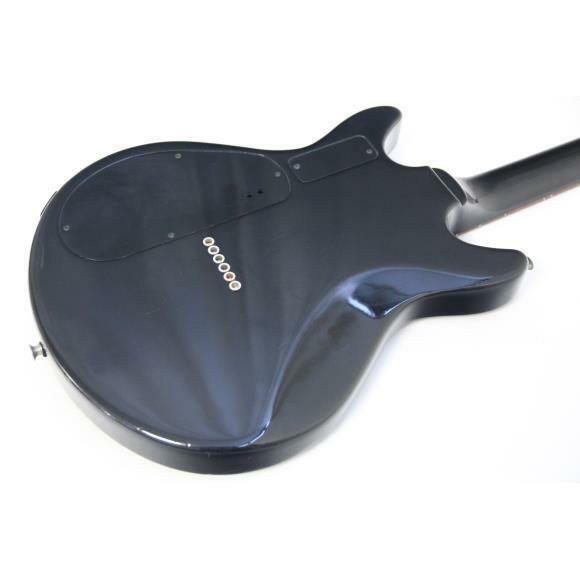 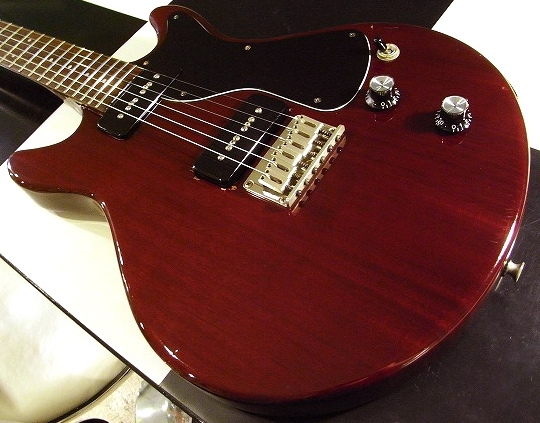 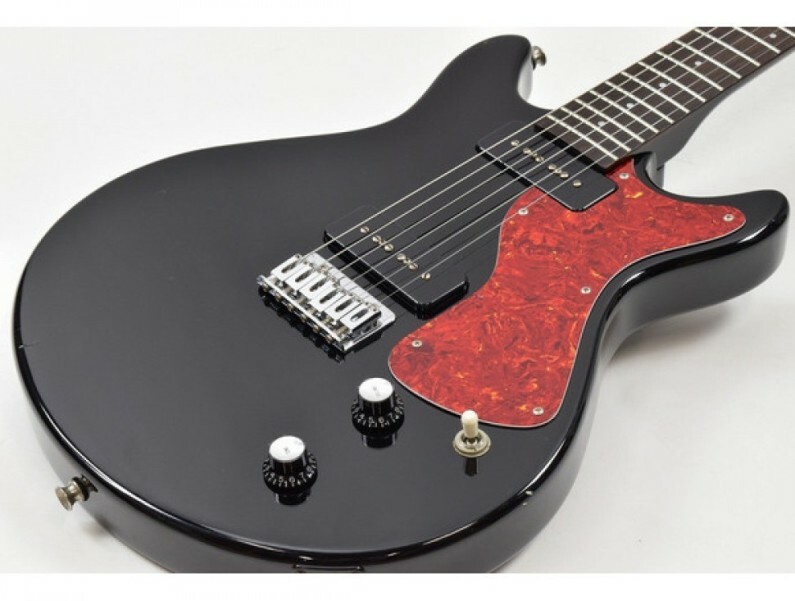 This is the top of the range released at 85,000 yen with unusually a piezo bridge pickup with receivers on each saddle. 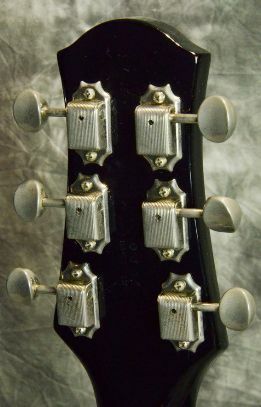 Controls Black with Silver top 1 volume 1 tone which acts as on off for the piezo a 3 way switch 1 balancer for the piezo with a slider for volume and tone on the back*. 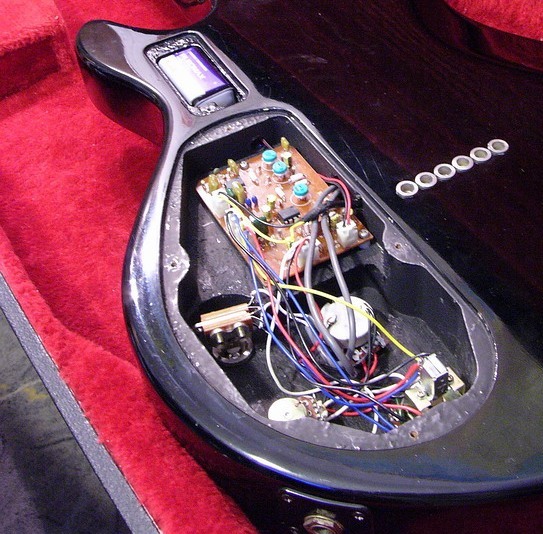 * The literature indicates that this switch exists but I can't see it in any pictures.